The Old Cathedral (Duomo Vecchio) is also called La Rotonda, which means round, maybe because the church looks round. This old church was built in 11th century on the older church before it. Inside the church, there are a lot of old paintings such as Eli and the Angel (Il Moretto) by Alessandro Bonvicino, the Assumption, Luke and Mark – The Evangelists, The Feast of the Paschal Lamb and many others. The building can be seen as one of the historical architectural sites in Brescia and one of the historical old churches that is still maintained in Italy. Additionally, the New Cathedral (Duomo Nuovo) is located exactly next to it. The newer church was built in early 17th century. The construction, no matter it was started in 1600s, had continued until 200 years after in the first quarter of the 19th century. 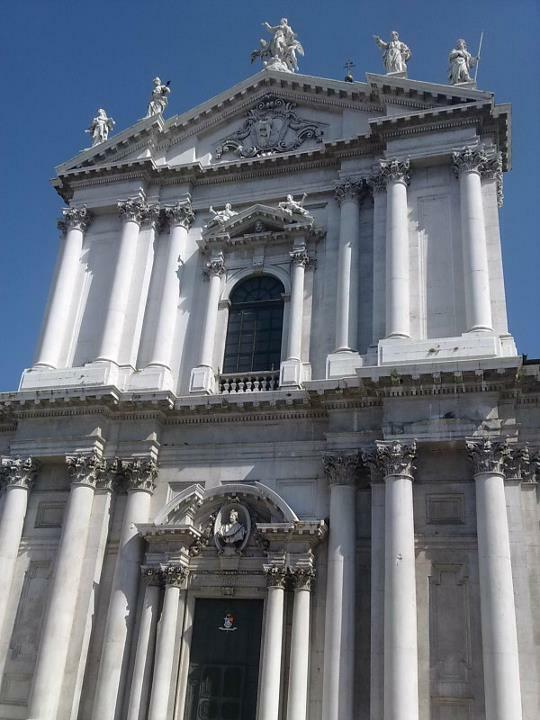 This is now the biggest church in Brescia. In the interior design, you can enjoy the scenes art of Marriage, Visitation and Birth of the Virgin. Besides, there is also the scenes of The Sacrifice of Isaac. The Old and New Cathedral of Brescia are recognized as Winter Co-Cathedral of Assumption of the Blessed Virgin Mary (Duomo Vecchio) and Summer Cathedral (Duomo Nuovo). 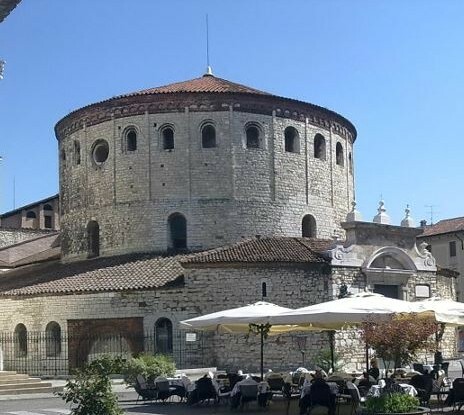 In addition to these historical cathedrals, in Brescia, you could also visit the newest Longobards in Italy, The Capitolium and The Museum of Santa Giulia. The Capitolium is the monumental area of Roman Forum and it was recognized as one of the world heritage sites of UNESCO in 2011, as one of the Longobards in Italy. I had the chance to visit it right after it had been inscribed as UNESCO’s world heritage. 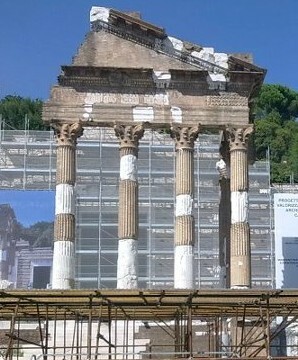 Unfortunately, in 2011, it was under restoration period so I unfortunately couldn’t enter to nearer view. But, since 2013 after it was restored, it has now opened to public for visit. The Capitolium was constructed in 73 AD and it was the most significant temple in ancient Brescia. It was unfortunately buried until the 19th century when it was rediscovered in archaeological campaign and now it’s protected as a world heritage place in UNESCO’s list. 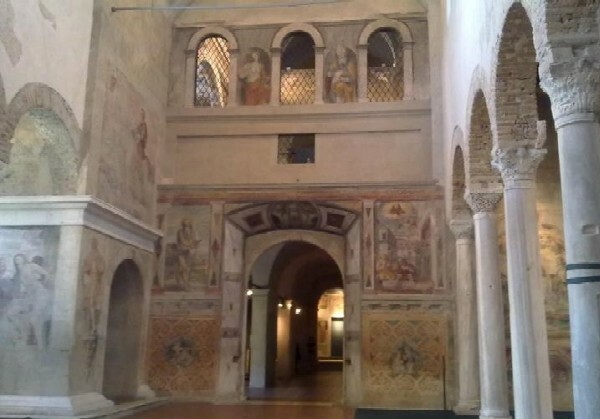 Not only the Capitolium, the Longobards in Brescia also include the Museum of Santa Giulia, which was a monastery complex and also called as Basilica San Salvatore. Now it has turned into a Museum that opens to public entrance with ticket purchase (Free of charge until 30 years old based on my 2011 experience). The complex was built in the 8th century by the future king of Lombards and his wife. During the old time, the monastery was restored twice in 12th and 15th century. However, during French Invasion, it remained under bad condition from 18th to 19th century until it was once again restored. In 2011, along with The Capitolium, it is now inserted in the World Heritage List by UNESCO as one of the historical Longobards in Italy. 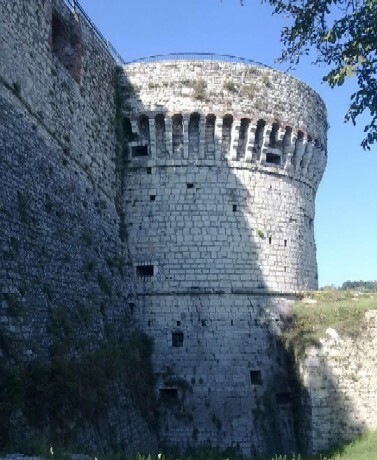 The Castle of Brescia is also recognized as The Falcon of Italy, located on the top of the hill. As the other historical buildings, the castle has also been constructed since hundreds of years ago as it was built between the 13th and 16th century. For its size, it is known as one of the biggest castles in Italy. The castle has been one of the most visited tourism areas in Brescia and if you go to the upper part, you can simply see the lovely view of Brescia City from the top (as the image you see in the featured pic of this post). Furthermore, other than these buildings I mention above, Brescia still has other recreational and historical activities to visit as tourists that are too long to write here.